Allison Guthrie, Grade 12 student from École Secondaire Notre Dame High School is one of six students who will be representing Central Alberta at the Canada Wide Science Fair in Fredericton, New Brunswick on May 15 – 17. 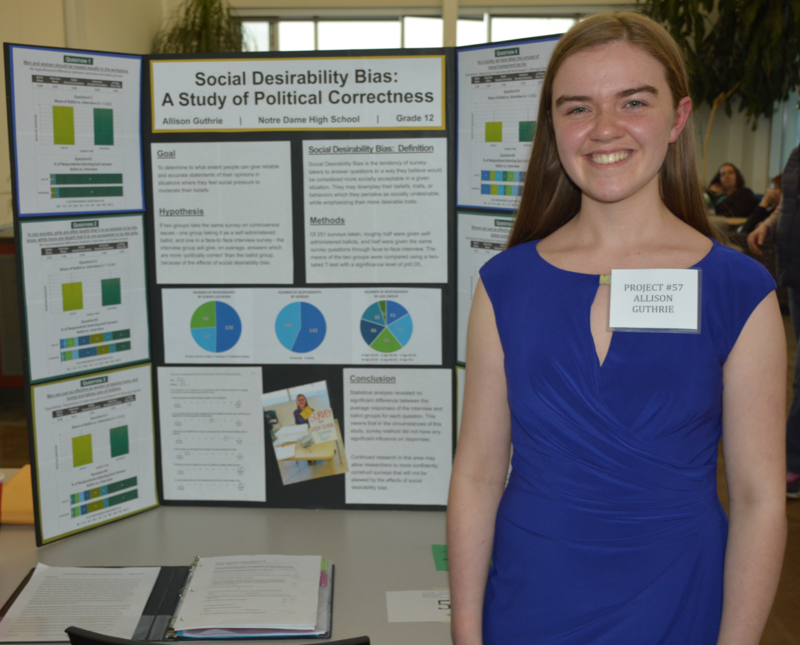 This past weekend (March 29 – 30) was the Central Alberta Rotary Science Fair, where Guthrie’s “Social Desirability Bias” project won gold and is taking her to compete at the national level. “We are very proud of her. This is an absolute honour to have Allison representing Notre Dame on the national stage at the Canada Wide Science Fair. We are grateful that there is a platform for Allison to demonstrate her drive, passion, and knowledge in science,” said Vice-Principal, Mandy Reed at Red Deer Catholic Regional Schools.